Chair gold shell with structure in hand-carved solid wood which is hand-painted with silver gilt painting. Covered with high quality fabric in cream finish. Also available with other fabrics on requests. Also available with other fabrics on requests. Chair Human in solid natural wood in bianco finish, with 2 polished brass feet. 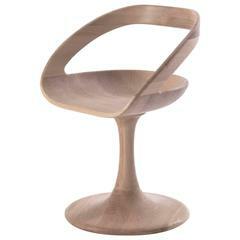 Chair wood designed in solid aromatic oak wood, marvelous piece with original curves. Rotative foot in satinated iron or in wood. Stool or chair curved made in natural solid cedar wood with natural pine extract wax treatment. Original subtle decoration piece. This chair is absolutely gorgeous! A piece of solid wood carved into a nice round chair. Exquisitely designed and crafted sculptural chair by Korean designer Moon Imm. 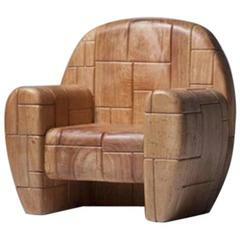 Mass Chair #2 is crafted out of solid Kwila Wood from Papua, New Guinea. 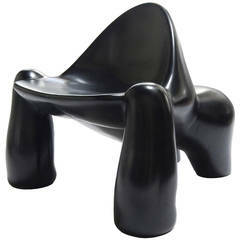 Exquisitely designed and crafted sculptural chair by Korean designer Moon Imm. 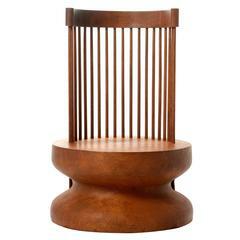 Mass Chair #1 is crafted out of solid Kwila Wood from Papua, New Guinea.